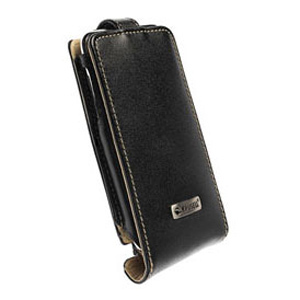 The Orbit Flex is a similar case to the Music case above, but with a few noticeable differences. The most obvious one being that the front flap is hinged at the bottom rather than the top and can be detached from the case if needed. It has a press stud fastening rather than magnetic and has cut outs for the volume controls too. Other than that, there isn’t much between them, they both have the clip on the back for the Multidapt clips and mounts and are both made from the same high grade leather.